by domino - June 8th, 2015. 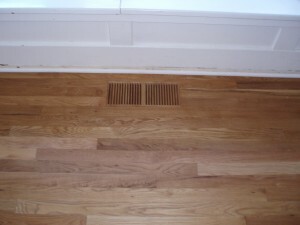 Filed under: hardwood stairs refinishing, oak hardwood flooring. Tagged as: matching air vents, wood air vents. 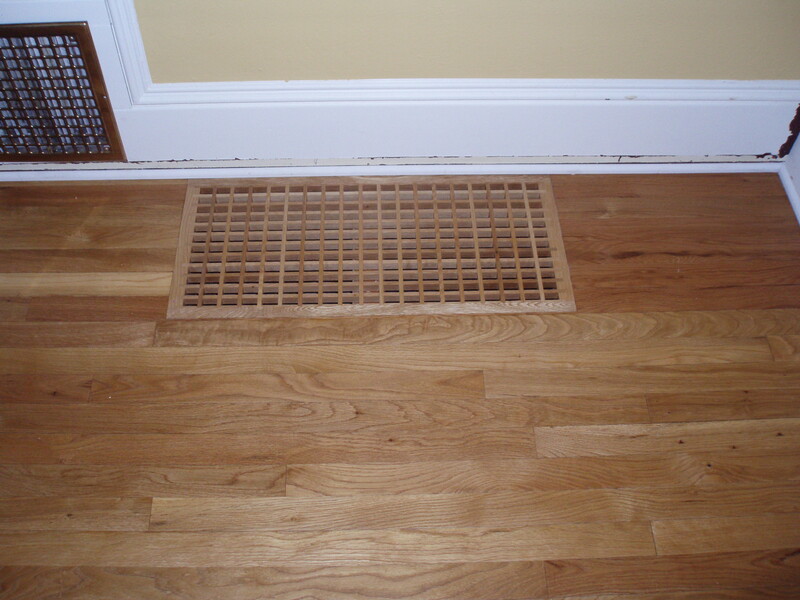 Matching air vents to the species of wood flooring in your home is a common request as clients like the look of the wood air vents vs. a metal air vent cover. The warm air returns are smaller and fit right into the ducts that are used for heating and cooling the home. These can be fit flush with the floor and are sanded and finished and dropped into place. 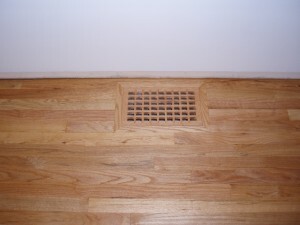 It really makes the wood floors so much prettier using wood air vents instead of the metal ones. 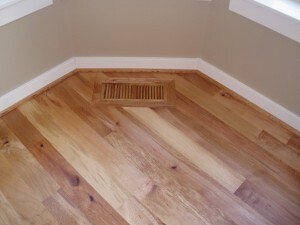 This is a madrone floor with a madrone warm air vent cover. 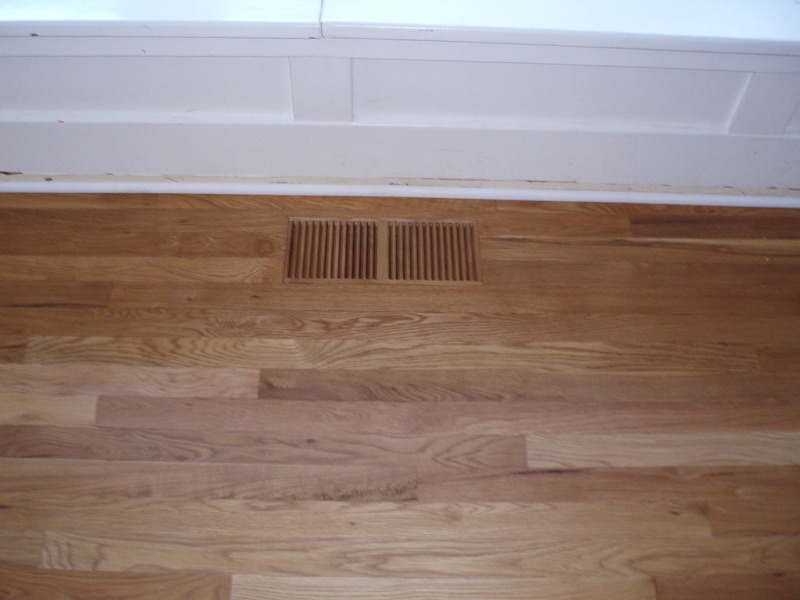 This one is an oak floor with a warm air vent cover. 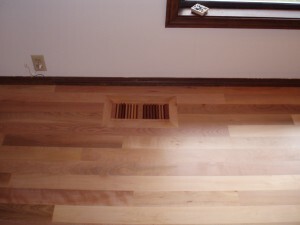 A chestnut floor with a chestnut warm air vent cover. The cold air returns are usually larger in size and are also sanded and finished to match the floor. Red oak cold air returns. Wood air vents are made for just about any species of wood flooring, including bamboo, Santos Mahogany, Brazilian cherry, oak, and maple. 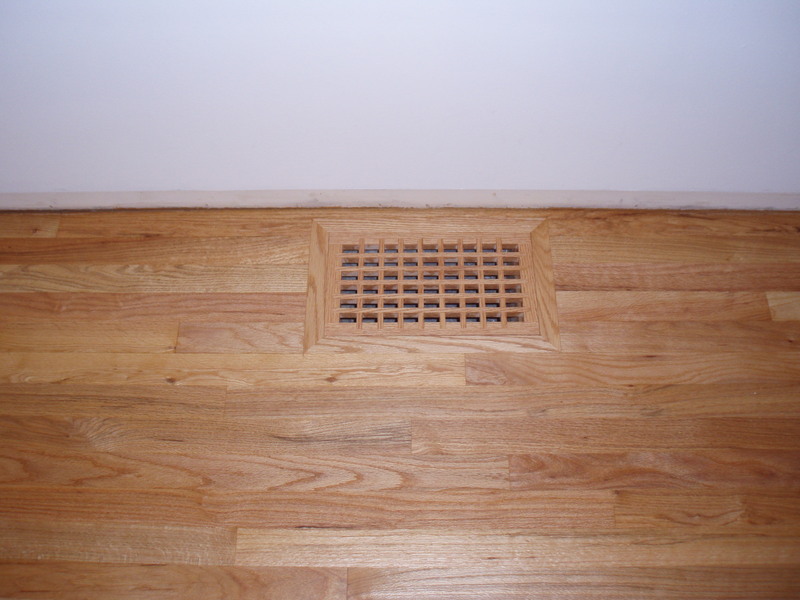 If you are looking to change out your metal vents for wood ones to match your floor, give us a call!